Denver Broncos long snapper Casey Kreiter is the first Broncos long snapper to earn a Pro Bowl selection. 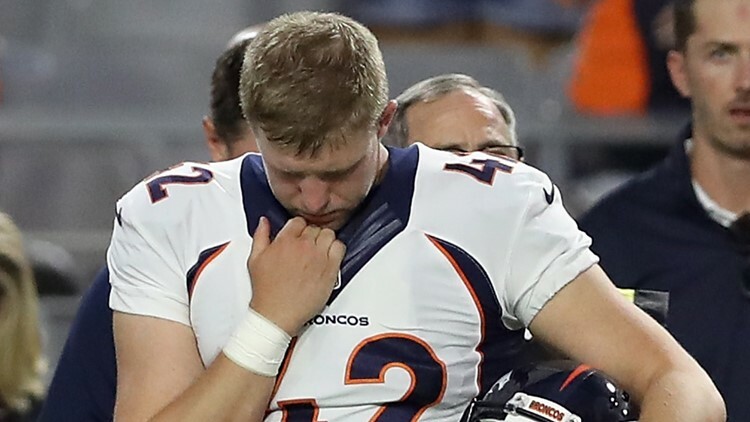 ORLANDO, Fla. — Denver Broncos long snapper Casey Kreiter is headed to Orlando. The third-year long snapper has been named to the 2019 Pro Bowl, the NFL announced on Wednesday. Kreiter joins linebacker Von Miller and running back Phillip Lindsay as Pro Bowl selections for the Broncos. Bradley Chubb, Chris Harris Jr. and Emmanuel Sanders are Pro Bowl alternates. Kreiter is the first Broncos long snapper to earn a Pro Bowl selection. Kreiter played 16 games in 2018 and handled 146 snaps without an unplayable delivery. AFC (and Los Angeles Chargers) Head Coach Anthony Lynn chose Kreiter as a "need" player for the Pro Bowl roster. The 2019 Pro Bowl will be held on Sunday, Jan. 27 at Orlando's Camping World Stadium.